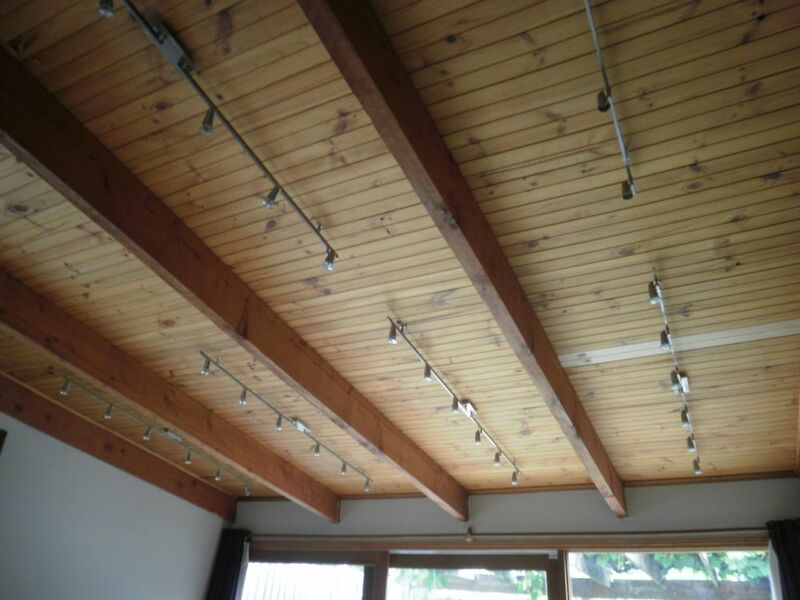 Late 2013 I started working with the owner of this home in Melbourne to find a way to "clean up" the ceiling in the kitchen, reducing the number of lights while at the same time providing more light in a space which was notoriously dim. The existing lighting consisted of 36 x Halogen GU10 spotlights (which constantly blew) and 2 plain white pendants placed off center from the bench. As a living space, it left a lot to be desired. Even with all of that light, it was dim, and didn't meet the needs of the family for both enjoying each others company and for the kids to do their homework on the kitchen table. This before image shows the lighting pre-design - a total of 1840W in lighting alone! We discussed not just lighting, but also the finishes in the room, to ensure that the renovation would have the greatest impact. We decided to paint the ceiling and move away from "directional" downlights and create an open, diffuse light with minimal fittings. One of the key design elements was the creation of a "sunrise" over the kitchen cabinetry to bring life to the room in the depths of Winter. This home now has a new lease on life - as do the family who live here - with vibrant soft light in their main living space and more to come in the main bathroom and lounge. Send me an email and find out what I can do for you in your home.